Are you ready to design your dream home Columbia, Mo? Look no further than Wilcoxson Custom Home’s carefully crafted and curated floorplans. Each floor plan has its own unique layout and style, but is fully customizable to your personal taste. You can count on Wilcoxson to build your home to meet modern standards of construction and safety, while remaining fully functional for your family. Let Wilcoxson welcome you home! The beautiful Georgetown floor plan offers a two-car garage, plenty of storage, a cozy family room and roomy master suite. Our team of expert contractors and builders will work with you and provide options for exterior and interior details you’ll love. 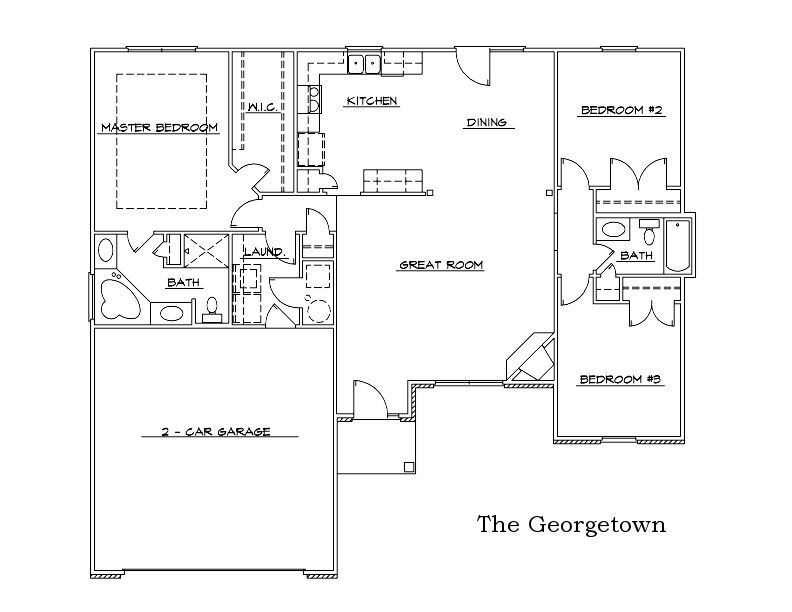 For questions about The Georgetown Floor Plan contact us today! The Bristol custom home floor plan from Wilcoxson is full amenities and details perfect for any growing family. 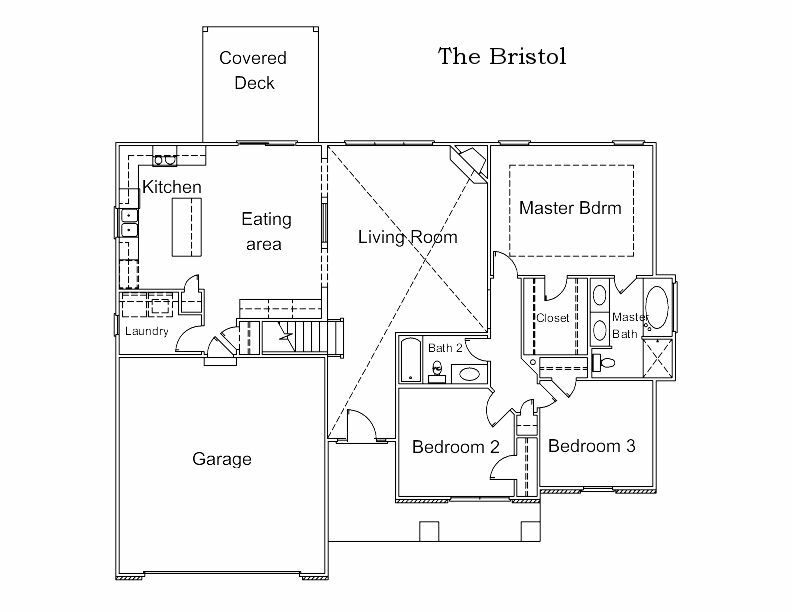 The Bristol’s design has a master bedroom suite with a spacious bathroom and a large closet offering plenty of storage. The kitchen is an open concept for easy conversations between family or guests in the eating area. Plus, The Bristol has a covered deck giving you the opportunity to enjoy the wonderful Missouri fall and spring weather. If you’re interested in learning more about The Bristol, contact us today! 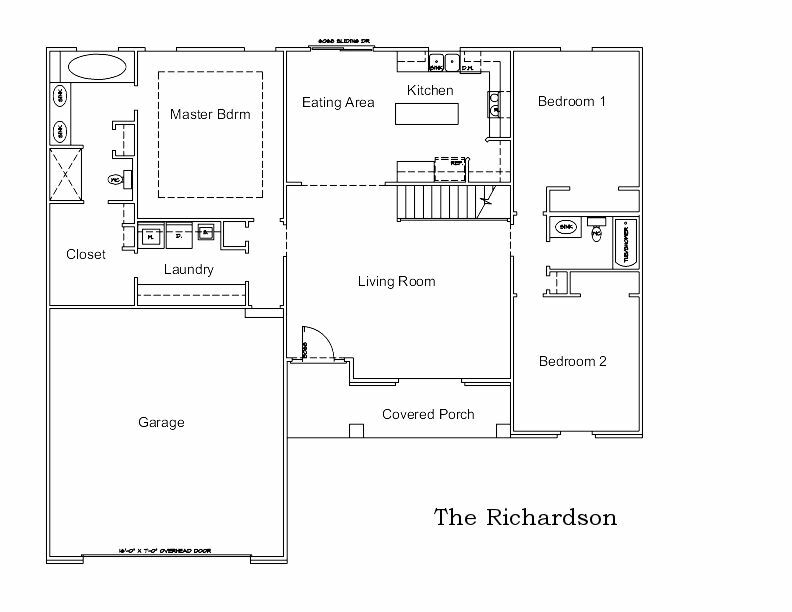 Come home to The Richardson floor plan by Wilcoxson. The Richardson is full to the brim with modern amenities while maintaining a welcoming layout. The master suite is roomy with a large closet, double sinks and laundry connection. The kitchen is an open concept giving you the opportunity to cook while catching-up with your family and friends. The living room is a great space for company to gather or for family movie nights. If you want to learn more about The Richardson floor plan, contact Wilcoxson Custom Homes today! The Ross is a spacious, functional and welcoming floor plan with the quality build only Wilcoxson can provide. This three bedroom, two bath house offers plenty of space for your family and friends to enjoy. The three car garage provides abundant storage for cars, seasonal decor, sports gear and more. Plus, the covered porch and patio supply the perfect outdoor space to enjoy the beautiful Missouri weather. 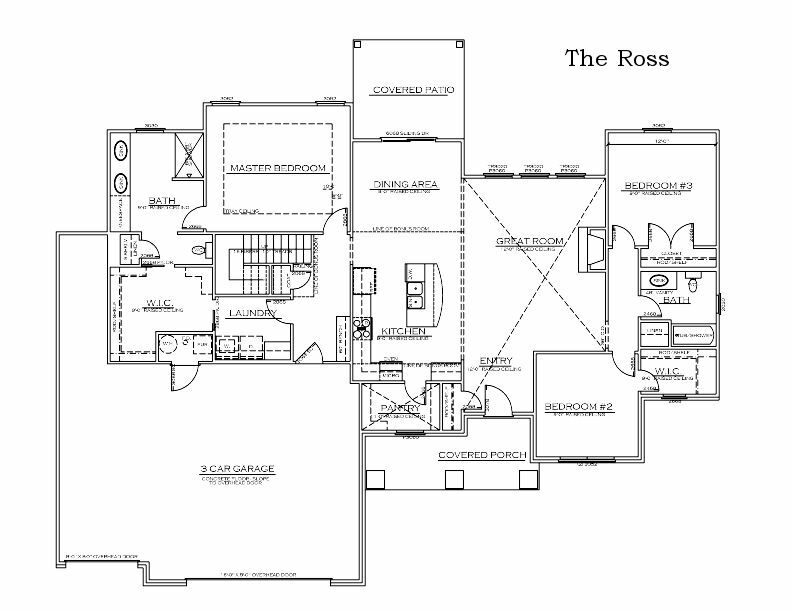 For questions about The Ross floor plan, contact Wilcoxson Custom Homes today! We love this floor plan so much, we named it after our hometown! 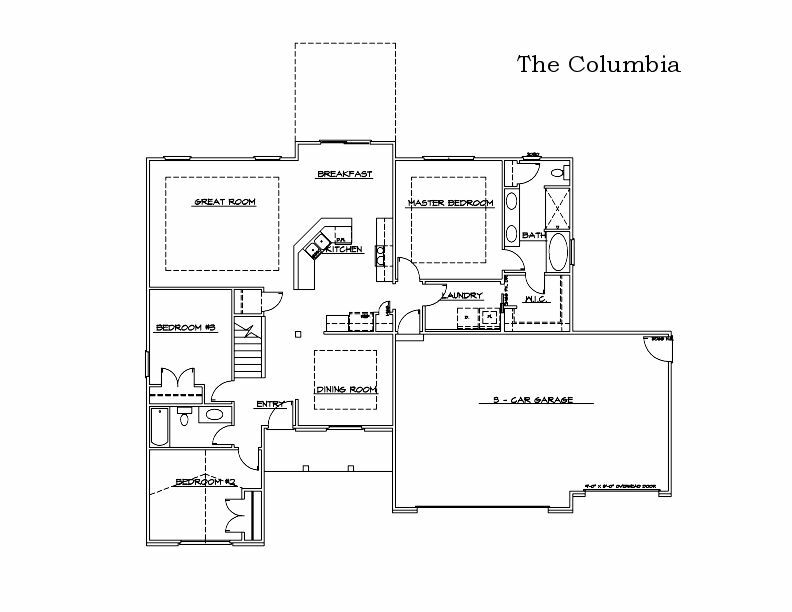 The Columbia custom home floor plan is full of special details sure to make your house a home. The kitchen is an open concept with a breakfast nook and a wide-view of the great room. Right off the kitchen is a formal dining room for special occasions and holiday dinners. The master bedroom is spacious with a large closet and bathroom. Start building your dream home with the Columbia custom home floor plan and Wilcoxson today! With its spacious design and inviting layout The Singleton has everything you need to call it home. 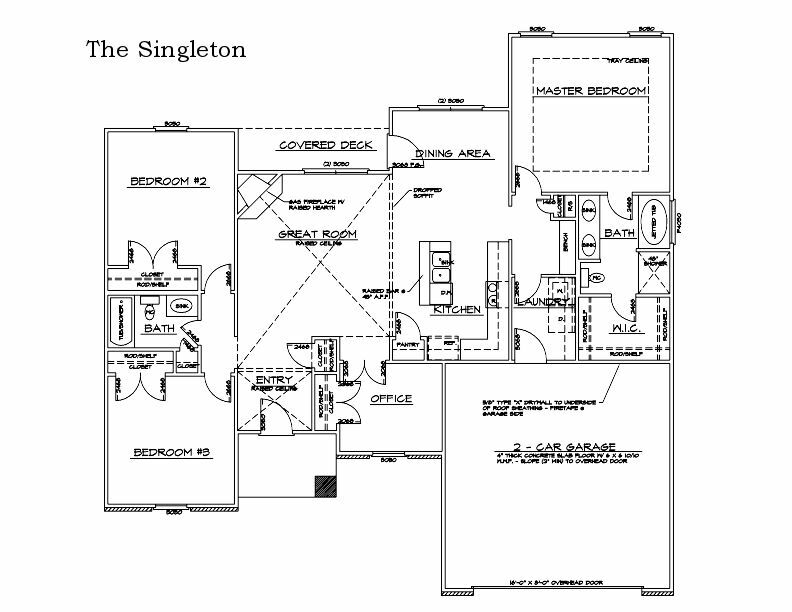 At Wilcoxson Custom homes, we pride ourselves on the quality and satisfaction our our customers and we’re sure the Singleton’s floor plan will be just what your family needs. With three spacious bedrooms, two bathrooms and a covered deck, this house is full of customizable features for your building project. Don’t wait, contact Wilcoxson today! 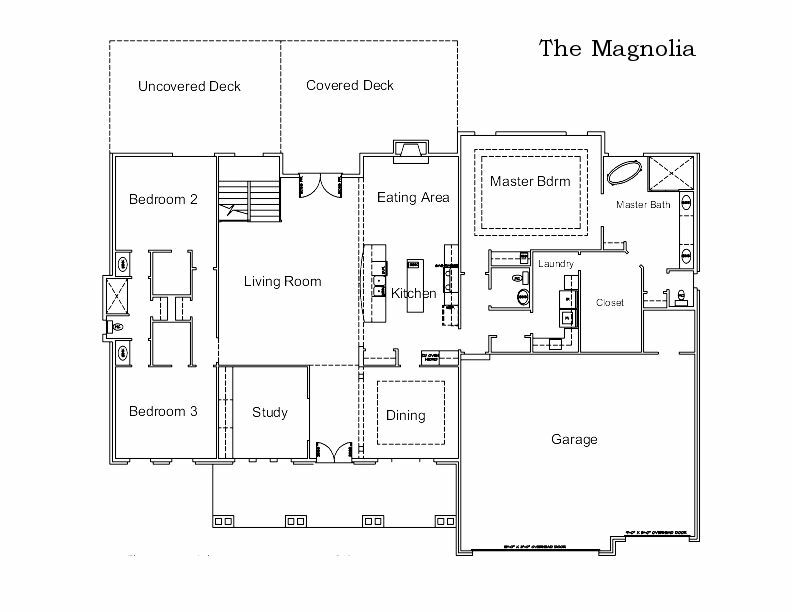 The Magnolia custom floor plan from Wilcoxson Custom Homes is a design with all of the potential to be a forever home. With a large living room, study and formal dining room, there is plenty of space for entertaining and hosting. The covered and uncovered decks add a unique element giving you the opportunity to enjoy the Missouri weather all year round. Plus, the master suite is the perfect place for you to relax at day’s end. Start making your dream home a reality with Wilcoxson Custom Homes. Contact us today! 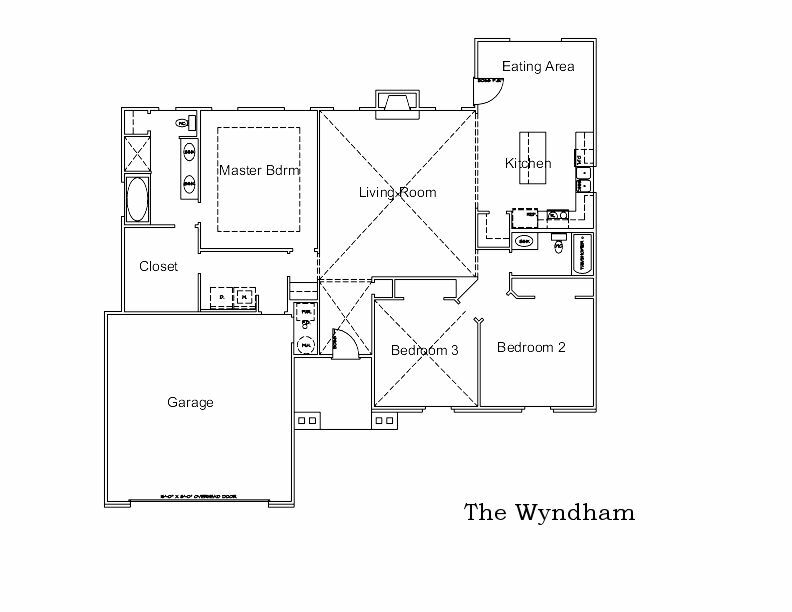 This Wyndam custom floor plan is the perfect starter home for any family! The functional layout makes for easy navigation through the home, while still providing the privacy each family member needs. The eat-in kitchen opens into the living room for easy entertaining. Open the door to The Wyndam floor plan with Wilcoxson Custom Homes in Columbia, Mo. Contact us today! 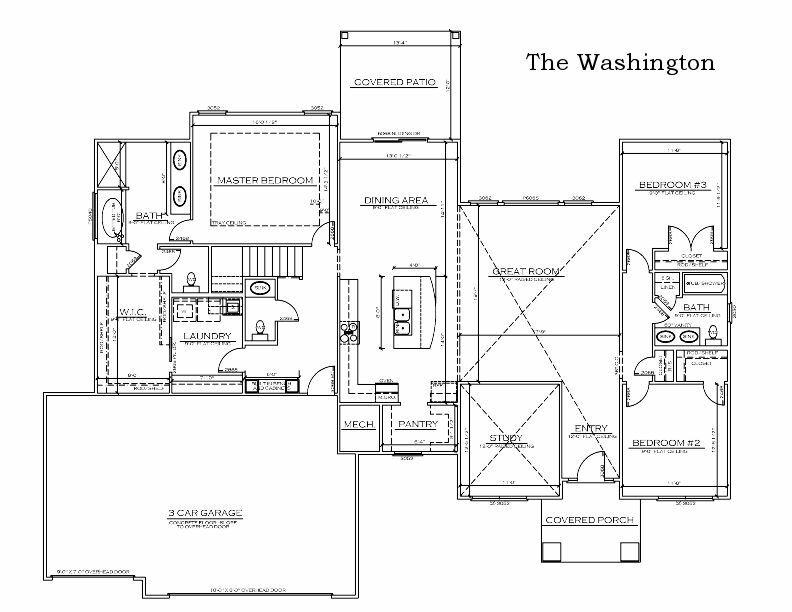 The Washington custom home floor plan is truly one-of-a-kind and fully customizable to meet your vision. This floor plan boasts three spacious bedrooms, two bathrooms, a study, large pantry, covered patio and more. Additionally, the Washington’s master suite offers plenty of storage and a large bathroom for two people to share. Call The Washington home! Contact Wilcoxson Custom Homes in Columbia, Mo today!